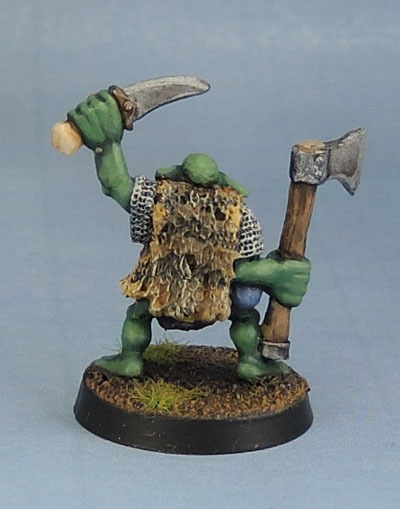 Another pair of Kev Adams’ Citadel Orc Boyz (WHFB 4th Edition) | Azazel's Bitz Box. 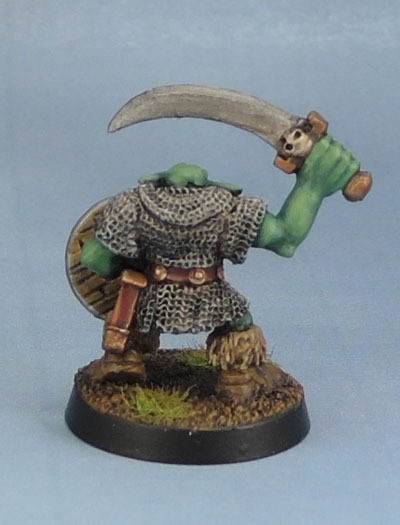 This entry was posted in Age of Sigmar, Orc and Goblin Army, Warhammer Fantasy - 9th Age and tagged 4th Edition Orcs, Classic Citadel Miniatures, kev adams, Oldhammer, Orcs and Goblins, Warhammer, WHFB. Bookmark the permalink. Cool! I like number 2’s snazzy waistcoat! Favourites this time: Fur coat and bone handle. The fur coat looks very good, nice colour variation and it has that slightly dirty and weathered look to it. The bone handle is just a nice touch and is a refreshing deviation from usual leather or metal tones one would use. Heh, thanks. Keeping things both colourful and dirty is a challenge when painting things like Warhammer Orcs. 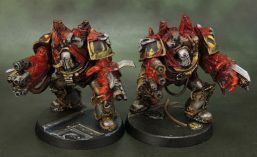 To be “realistic” they’d likely be pretty much encrusted in dirt, muck, old gore and grime from head to toe, and almost a monotone in shades of dark grey and brown but that wouldn’t read too nicely on the models. 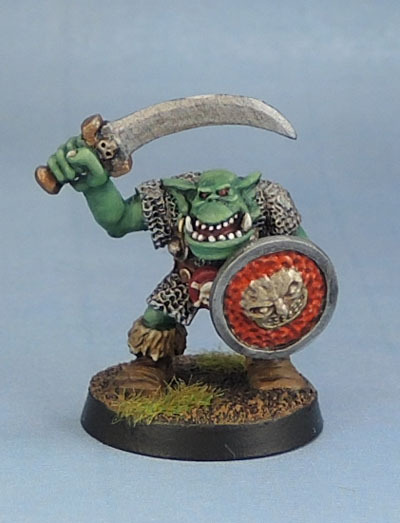 Though I’m happier to go further down that particular path with my LotR Orcs. 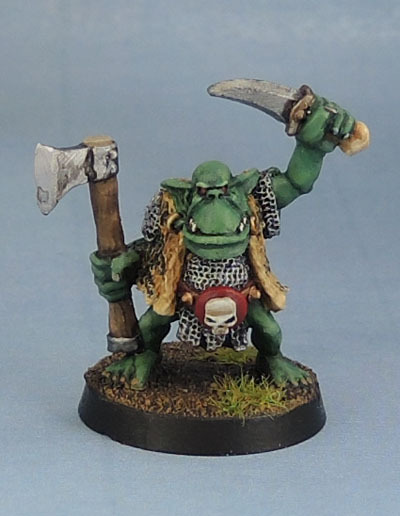 Pingback: Orc1 Warrior Orc/Orc Champion (Kev Adams, 1987-88 or thereabouts) Part 1. | Azazel's Bitz Box.